Eight teams will be contesting for the $15000 prize money and the prestigious title in the Fiji Football Association calendar and the second tournament of the season. 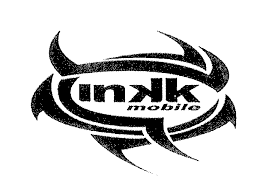 After a successful Vodafone Fiji FACT 2016 the hype is now on the Inkk Mobile Battle of the Giants. Despite the unfavorable weather condition for the past few weeks teams are preparing well for the tournament. The ground condition at Ratu Cakobau Park is on tip top condition and hope the rain stops and makes the tournament more exciting. Looking back at the history of B.O.G it started in 1978 and Nadi was the first team put their name on the trophy since the Jetsetters have won the tournament five teams and last they won was in 1996. Ba has won the title sixteen times and the last was in 2013 while defending champions Rewa have won seven times. Suva have written their names three times on the trophy and last they won was in 1995 while Nadroga have also won three times and last was in 2002. Labasa and Lautoka have only won the Battle of the Giants tournament once. Lautoka won in 1985 while Labasa in 1997. On day one this Friday at 1pm Dreketi will play Suva while at 3pm Ba will battle Nadroga. The official opening will be held at 5pm following the Labasa and Lautoka match at 5.30pm. The feature match of the day will be between the host and defending champions Rewa and 2016 Vodafone Fiji FACT champion Nadi at 7.30pm. The ticket prize is $10 flat for adults and child under 12 is $4.